How beautifully these lit candles warmly light the Suleymaniye Mosque in Istanbul Turkey. Even the arched windows up above form a circle of light. Mike, of Mike’s Travel Guide, captured this photo while visiting Turkey. 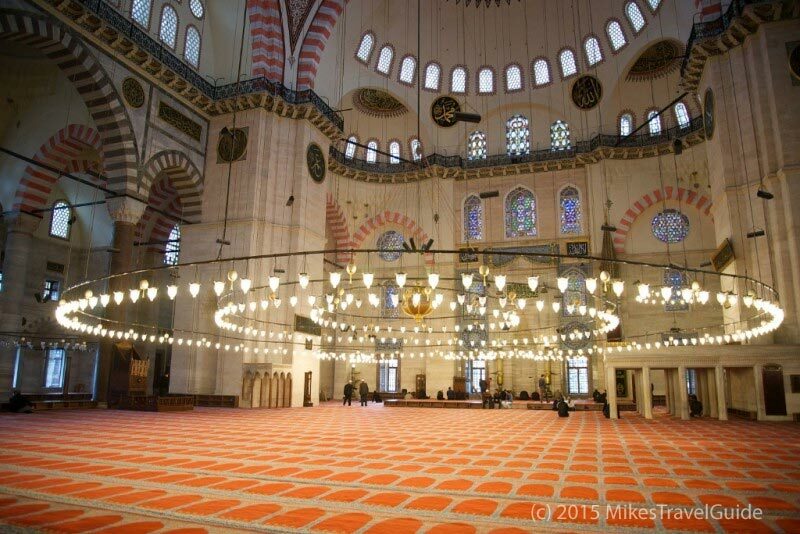 In his blog post he shares his visit to the mosque. We are Mike and Gayla, natives of south Louisiana… We share a passion for travel and since 1995, we’ve spent the majority of our vacations traveling around Europe. We loved Europe so much, we moved here in 2008. In addition to travel, we also enjoy art, music and really good food. We like seeing new places, meeting new people, and learning new things. … When we travel we make an attempt to see things from the local perspective and to be open to new and different experiences. We hope to share with you some of the things we’ve learned over the years. View their travel destinations posts on their blog site.